The right to access information is a basic right enshrined in key international human rights instruments such as in Article 19 of the Universal Declaration of Human Rights (UDHR), Article 19 of the International Covenant on Civil and Political Rights (ICCPR), and Article 9 of the African Charter on Human and People's Rights (ACHPR). It's incumbent on states to ensure that this right is respected by state representatives and employees in public offices. An aborted phone call to the embassy of Cameroon in Brussels, Belgium this afternoon put into question the commitment of the embassy staff to uphold the right to access information. At about 4PM (GMT+2), a call was made to the embassy of Cameroon to get information about the requirements for applying for a new passport and opening hours. The call was answered by a gentleman who spoke only French due to inability or unwillingness to speak English. He routed the call to an angry lady who struggled to speak English. Instead of providing the needed information, she hastily referred the caller to the embassy's website. Speaking English seemed to be a burden for her and rendered her audibly nervous and unwilling to help. Then the unexpected happened - she hung up the phone. Undeterred and shocked by the unwelcoming reaction of someone representing his country abroad, the caller called back. This time, the same gentleman who routed the first call reluctantly provided the requested information in French - ignoring the possibility that the English-speaking caller does not understand French. I visited the referred website and noted that most pages on the English section of the site are "...still under construction... soon available." According to the website, the embassy opens from Monday to Friday from 09h30 to 16h00. This conflicts with information provided by the staff today: passport applicants must be at the embassy before midday and are not welcomed on Fridays. The embassy's website, as of the time of writing, was last updated more than 2 years ago on 29 April 2009 and looks inactive, hence the caller had reason to believe that perhaps something has changed after all these years. The French section of the site was last updated on 25 July 2009. Cameroon is a bilingual country and all its citizens have the right to access information in the language they fully understand. 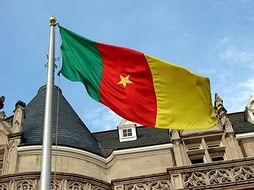 The Constitution of the Republic provides that all official communications or documents be made available in both French and English, but Cameroon's embassy in Belgium, like many other state offices, is yet to make information on its website available in both languages. There's a need to educate individuals who represent Cameroon in embassies abroad and to ensure that persons working in public offices understand that their job is to serve the people and should not interfere with the people's right to access information. Embassy staff should be polite and be able to communicate in both official languages of the country they represent so that a group of nationals is not alienated. More importantly, the website of the Cameroon embassy in Belgium is in desperate need of a make-over. The authorities should take advantage of the advent of new technologies and make information available online. An unprofessional embassy staff and a website - www.cameroon.be - whose English section is perpetually under construction damages the reputation of Cameroon abroad and sends a wrong message to millions of English-speaking Cameroonians. On a side note: Finland is a small country in Northern Europe which has two official languages - Finnish (Suomi) and Swedish (Svenska). The websites of Finland's embassies in Washington and Abuja for instance, carry both official languages and I bet embassy staff would aptly and happily communicate in both languages. This is a good example for bilingual countries to emulate. UPDATE, 21.11.2011: The website of the embassy has been updated, predominantly with news about the 2011 presidential election. The site still lacks useful information such as passport application fees, visa fees and application forms. Unfortunately I have not had the opportunity to visit other official Cameroon sites. You are right in saying there needs to be a greater insistence by the people of their governments to use the internet to inform people. Even the French version of the site had scant information and didn't provide enough information in case, let's say, a Cameroon citizen lost their passport while they were in Belgium. We need to get on that ball a little faster. i am residing in denmark, i have the old cameroon passport , and i need the new cameroon passport but i can not be able to travel to cameroon. i want to know the requirements to get the new passport from cameroon embassy in belgium. If you want to get the new passport, I suggest you contact the embassy in Brussels, Belgium: +32 2 345 18 70. Hopefully, customer service has improved. I applied for the renewal of my old passport in brussels since december 2014. I was supposed to recieve a confirmation email saying my passport arrived in maximum 60 days they said. Its august 2015 and i have called the embassy....they spoke just french and were very rude. It still hasn't come from cameroon they say. How can this be possible! !. If Cameroon is really bilingual why don't they have English speaking workers who are ready to help out the other english speaking half of Cameroon?